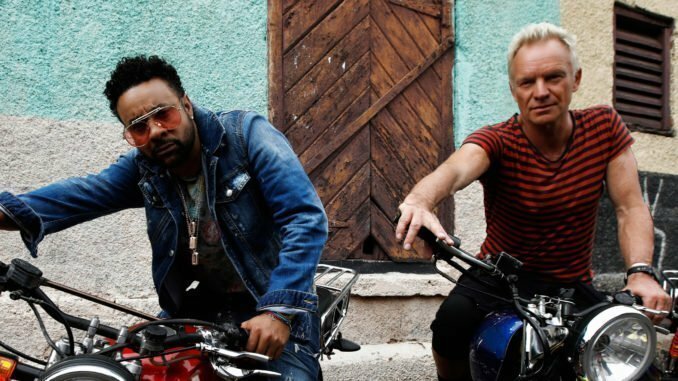 Taken from their GRAMMY-Award-winning UK Top Ten hit album, 44/876, Sting & Shaggy have today launched a new video for their single, “Just One Lifetime, helmed by acclaimed director Joseph Khan (credits include U2, Taylor Swift, Eminem, Katy Perry). The video was teased earlier this week by Fiat, who have an integration in the video. Fiat also announced that Sting & Shaggy, both managed by The Cherrytree Music Company, would be part of a new advertising campaign, featuring “Just One Lifetime” to celebrate the brands 120th anniversary next month. 44/876, the collaborative album inspired by Sting & Shaggy’s mutual love for Jamaica, was released in April 2018. Since its release, the pair have enjoyed chart success around the world as well as taking their collaboration on tour in North America, South America and Europe to critical acclaim. In the UK, to support the album’s release last Spring, Sting & Shaggy gave a particularly memorable performance at Queen Elizabeth’s 92nd birthday celebration at the Royal Albert Hall. The duo have just announced a series of intimate UK concerts from May 19 – 25. For further information, please visit www.sting.com.